You have Arrived at the Webpage of the World's Leading Airport Cyber Security Summit! WELCOME! 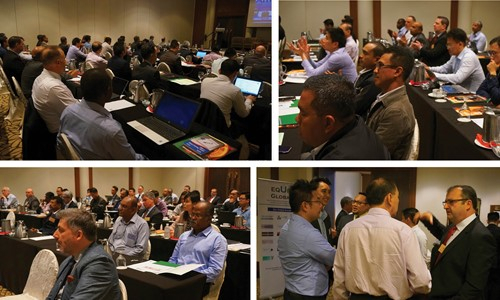 Taking place from 18th to 21st June 2019, Equip Global’s 3rd Cyber Security for Airports Summit 2019 is your golden opportunity to hear from airport operators, aviation authorities and air navigation service providers on how they are managing the most pertinent cyber security risk challenges and issues. This summit will bring together industry decision makers to look into the current cyber security challenges from the technological aspects of IoT, OT Security, related IT network infrastructures, risk and cyber security management by design, prevention technology, to more human aspects including stakeholder, vendor and service provider management, instilling a culture of security among your staff, as well as efficient incident response and recovery plans to minimize potential losses. You can also look forward to hearing case studies from various global perspectives on how to assess stakeholder cyber security maturity and strategies on early threat detection to keep your airport safe. This is a must-attend summit for you and your team if managing cyber security is a priority for your organization! IoT, ICS and OT Cyber Security Management – Gain technical knowledge on how to minimize security vulnerabilities and prevent cyber-attacks on airport ICS, OT and IoT systems. Risk and Cyber Security Management by Design – Learn about the core principles and best practices to build in security and privacy settings into your networks as you mitigate persistent cyber risks. Penetration Testing and Security Exercises – Assess the maturity of your cyber defence systems to understand and close potential security loopholes through constant monitoring and taking preventative measures. Building Pragmatic Security and Response Plans – Understand how to effectively mitigate cyber threats in the case of a data breach and how to involve your airport stakeholders and vendors in response planning to provide appropriate levels of protection. Stakeholder, Vendor and Service Provider Involvement – Learn how to get your stakeholders, vendors, concessionaries, and service providers involved in managing airport cybersecurity by establishing a common risk profile and ensuring cybersecurity maturity to minimize potential network vulnerabilities. Mitigating Insider Threats – Learn how you can take the two-pronged approach to cyber security by instilling a culture of security among your staff alongside cyber security measures to minimize any potential network breaches. Comprehensive Case Studies – Hear from industry experts on how they have overcome major cyber security challenges at their airports and gain insights on how to implement some of these measures at your airport. Trending Issues in Airport Cyber Security – Analyze the latest industry trends and gain insights into the growing need for industry-wide implementation of cyber security measures, comprehensive cyber solutions as well as the latest developments in cyber security technology that can be implemented at your airport. Register Before 1st March 2019 for EARLY BIRD DISCOUNTED RATES!